This common source was a language spoken thousands of years ago in central Europe now referred to as Proto-Indo-European. As peoples speaking this language dispersed, other linguistic branches sprang from the common stock and one of these was German. This was originally referred to as Proto-Germanic and this in turn subdivided. 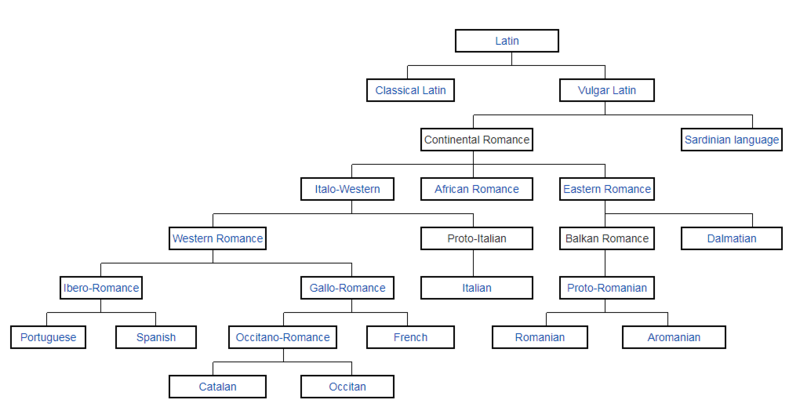 English is of West Germanic origin...Read MoreAn interesting article on the Romance languages. However, even Latin had its roots too. Nearly all the European languages, together with some languages spoken in the Middle East and the northern India, together with Greek, Latin and Sanksrit all show a number of striking similarities. This points to a common prehistoric source for all these diverse languages.